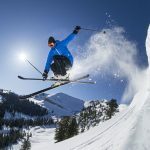 The Snowledge Whistler is one of the larger-sized frameless cylindrical goggles with great quick-change lenses. We really liked the Snowledge Whistler. Prior to the season, we had never heard of the company, and didn’t even write to them asking for goggles—they just showed up at our office. But when we gave them a try, we really liked so many of their features that we had to rank them in the top five, and even gave them a special new award: “The Dark Horse.” Not only are these very cool-looking goggles, but they have a revolutionary magnet system holding the lenses in place—we did a lens swap in under four seconds! Before testing, we thought there was no way the lenses would stay in with these nine magnets—but we were so pleasantly surprised. These are the easiest-to-change lenses on the market! And with an MSRP of just $65, we have to admit that upon opening Snowledge (and their semi-hard shell case, which is great) we had our doubts. How could a pair of goggles that inexpensive be good?, we thought. Well, we are definitely eating those words! We were seriously blown away with the frame and lens quality. And we had to admit that we questioned the magnet system—would the lens pop off if we faceplanted? I humbly have to admit that it does not. 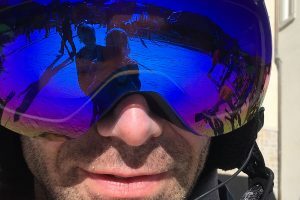 The lenses stayed intact (and scratch-free) despite me tomahawking myself down Aprez Vous in the back bowls of Vail (maybe more than once—I will neither confirm nor deny that). 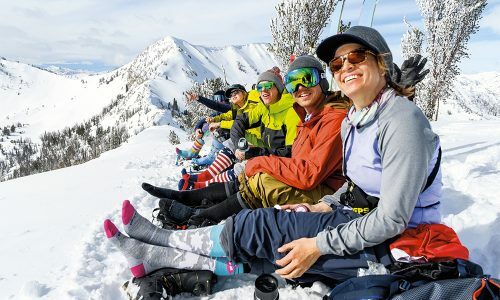 Those dudes at Snowledge can really run with the big dogs! Kudos! Keep up the great work! 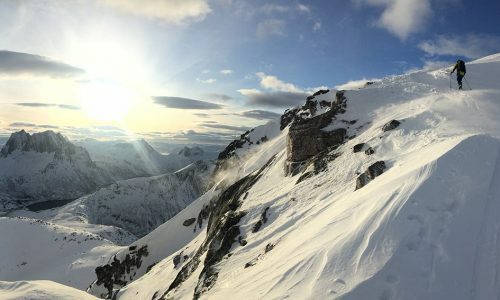 The Snowledge Whistler has an above average field of view—both horizontally and vertically—which you would expect from such a large frame. 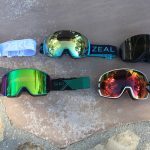 The Snowledge Whistlers came in at 5.9 ounces, which was right in the middle of the pack (the 20 goggles tested ranged from 4.3 ounces to 6.7 ounces). The nose cutout and curvature of the Snowledge Whistler is a perfect match for larger-sized faces. The foam was nice and soft but durable, and the strap was easy to adjust. We paired them with five different helmets and found no major issues with a goggle gap. 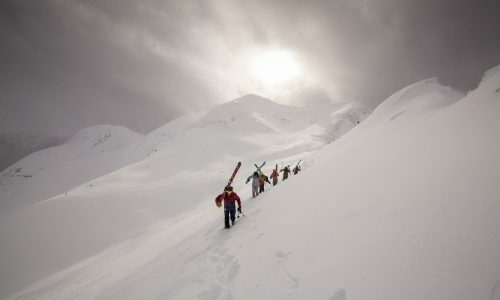 No significant fogging occurred in the Snowledge Whistlers while tested in the relatively dry climate of Colorado. They performed well on wet snowy spring days and we even took the goggles out for some warm cross country days. They had little to no fogging despite our perspiring. The Snowledge Whistlers received a 7 out of 10 in this category. The oversized lenses performed well in many different lighting conditions, although in dark overcast or snowy conditions the lenses were a bit too dark. We experienced no distortion around the edges and found no scratches on the lenses after multiple test days. We found the frame a little lacking, due to the fact that it was very thick; this seems to be commonplace for such “oversize” goggles. It worked well with most of the adult testers’ faces. As we stated in our summary, quick and easy lens changing systems are the standard now, so anything short of that got points knocked off. 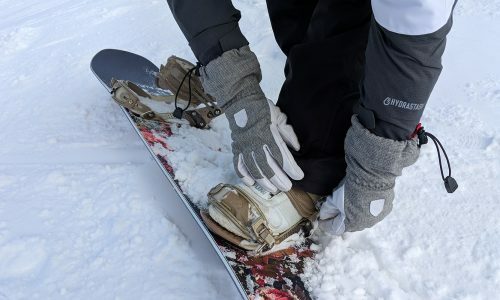 The Snowledge Whistler has a great magnet system, and it is very easy to swap the lenses without touching them due to their “frameless” design. 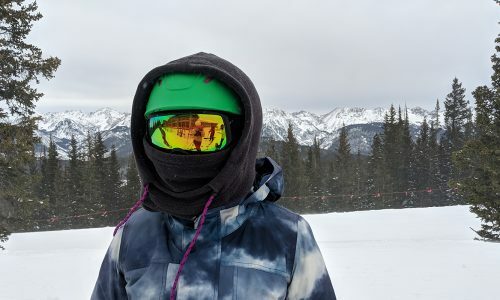 Once you know where to grab and (slightly) twist the frames, the lenses literally pop off—but this system is also intuitively designed so that the lenses cannot pop off, even when faceplanting. We were able to remove & replace lenses in under 5 seconds, giving these goggles one of the only 10’s in any category, for any goggles tested.